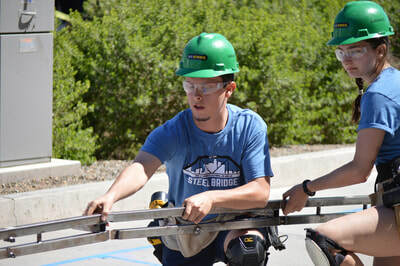 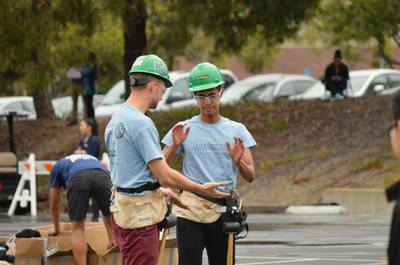 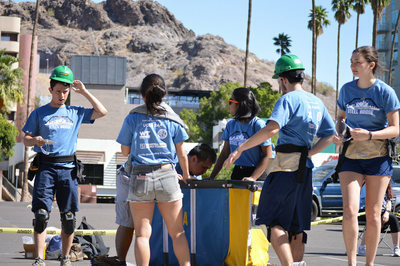 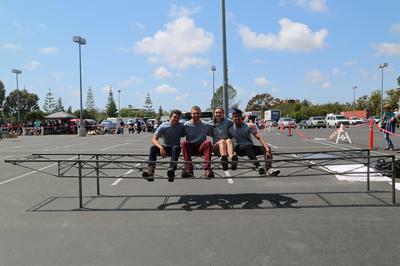 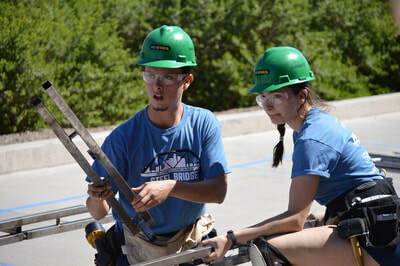 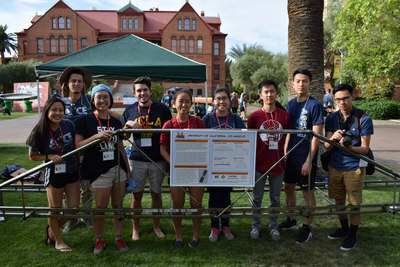 The goal of this project is to construct a steel bridge that meets a specific set of specifications for the annual Steel Bridge competition in PSWC (Pacific Southwest Conference). 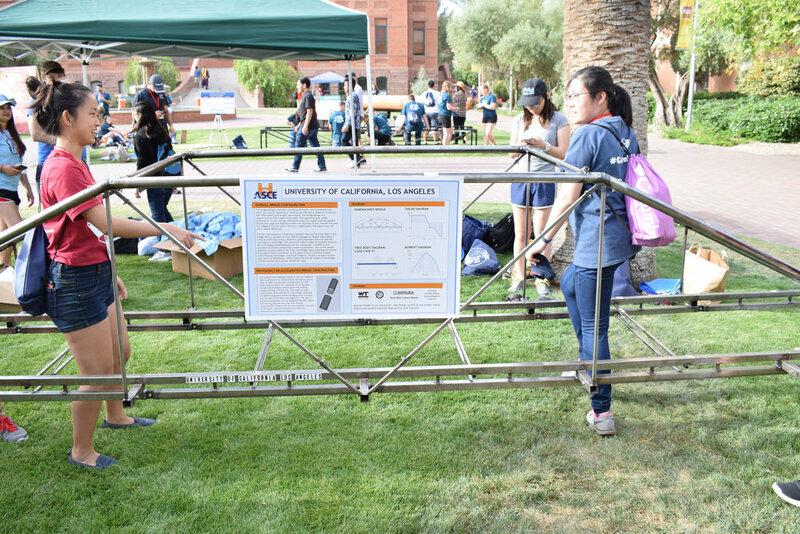 Last year, we were tasked to build a bridge that spans over a river and can sustain 2500 lb. 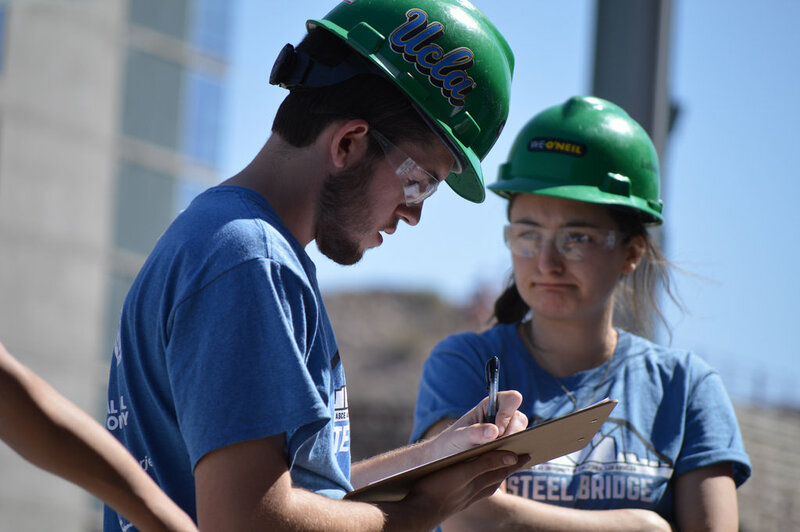 Besides these conditions, members have to consider many real-world factors in bridge design and construction like spatial constraints, material properties, strength, serviceability, fabrication, safety, aesthetics, project management, and cost. 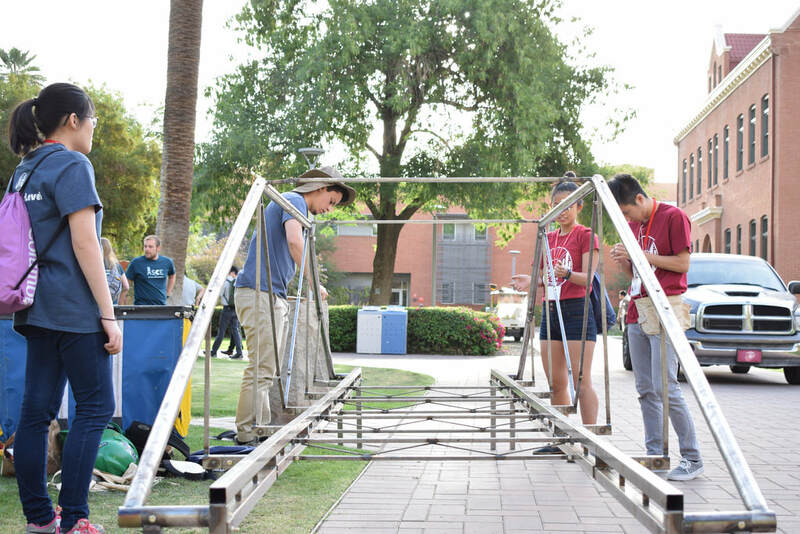 The design process begins in early Fall Quarter. We work in a team of professors, graduate and undergraduate students to design a bridge that is easily constructible, because the nature of the competition is to have an efficient bridge that is easy to put together. We always aim to keep the number of pieces, including nuts and bolts, to a minimum to simplify the construction process while maintaining the strength of the bridge. To achieve this, we create a general global model, run SAP analysis, and perform a breakdown of individual components to constantly fine-tune our model of the bridge We also host a set of tutorials on design programs such as SAP2000, AutoCAD, and SketchUp so all members can follow along in the design process. 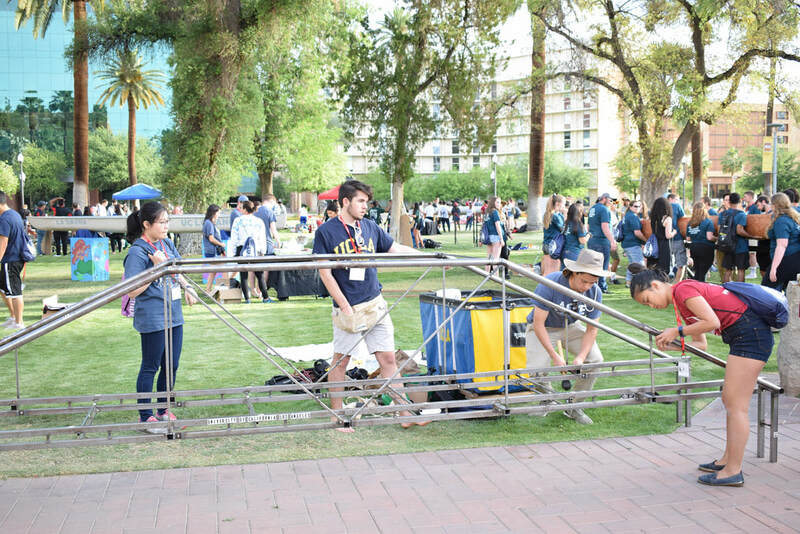 Build Team assembling their bridge during the competition at PSWC 2018. 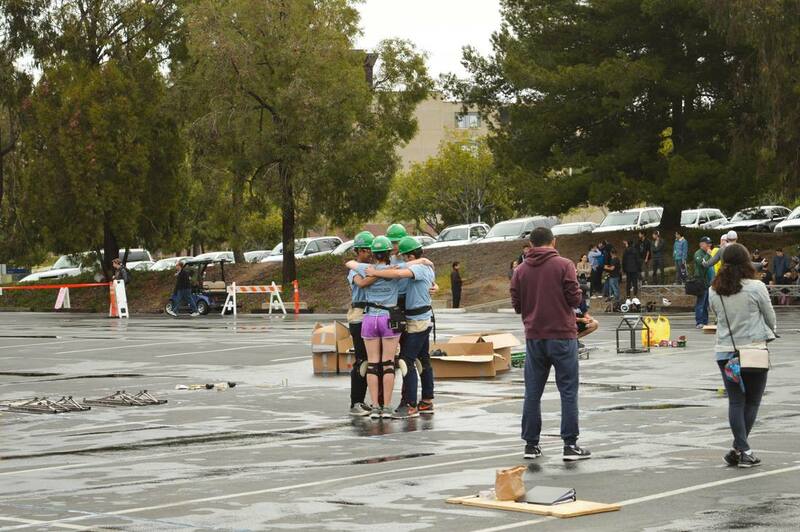 In Winter Quarter, we completely fabricate the bridge for competition. Designed by ASCE at UCLA. Built by ASCE at UCLA. 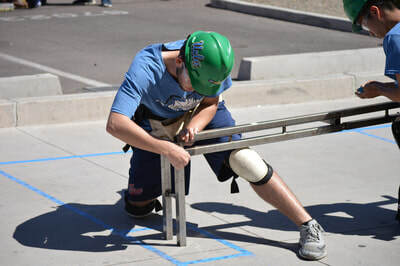 The only parts we have externally made are the special connections that need to be water jetted. 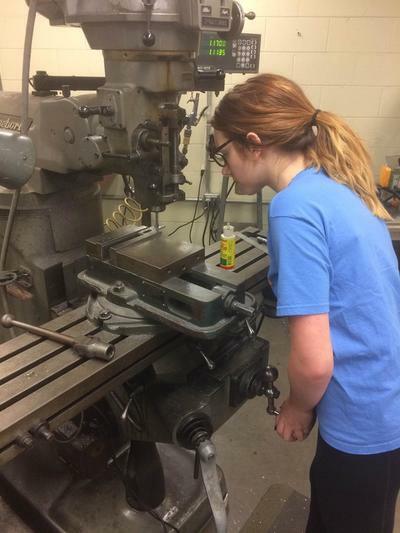 Members work in either the structural lab or the student machine shop using heavy duty machinery to measure, cut, grind, and weld until the design of our bridge comes to life! 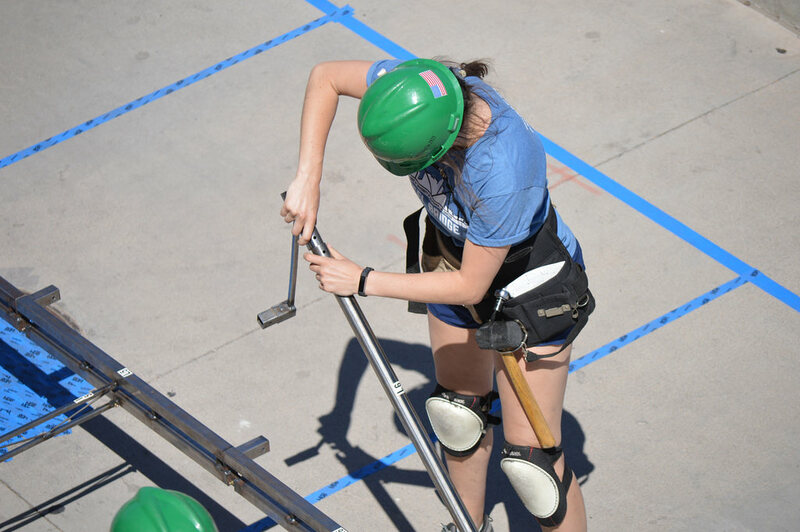 The last step to our pre-competition phase is to orchestrate construction. 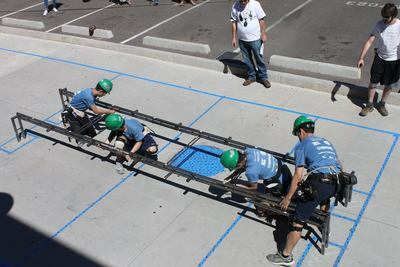 We try different combinations of people in order to get the fastest construction time our team for competition. 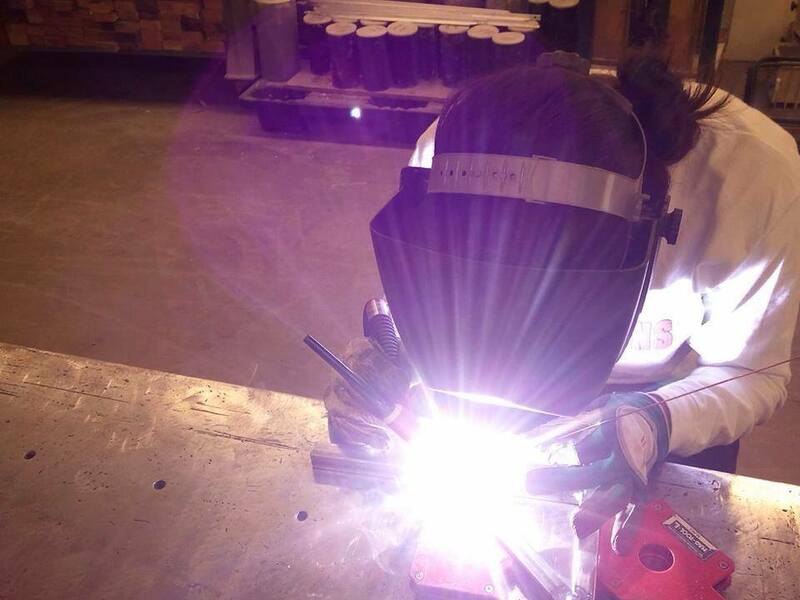 The rest is practice, practice, practice! 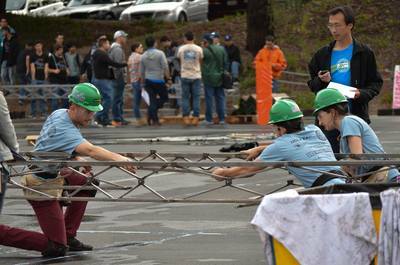 At the competition, all competing bridges are judged on their appearance. Then, every team competes for the best construction time. 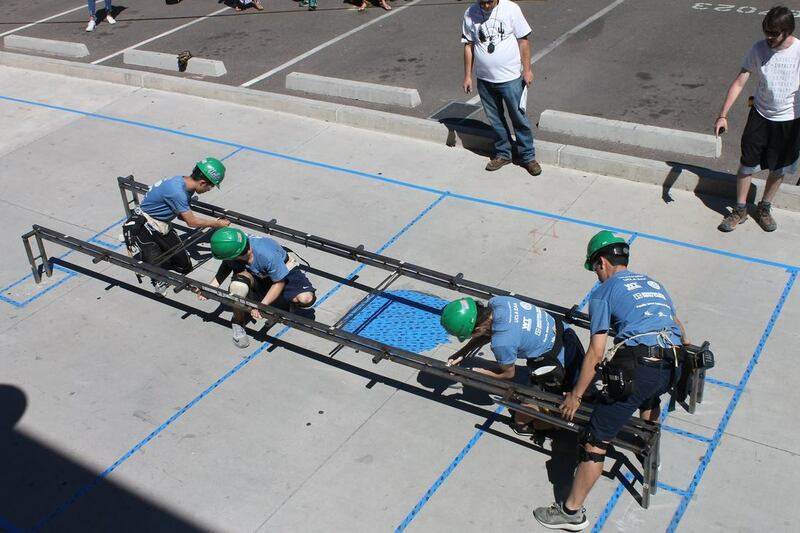 After the bridges are built, they go through lateral and vertical load tests. 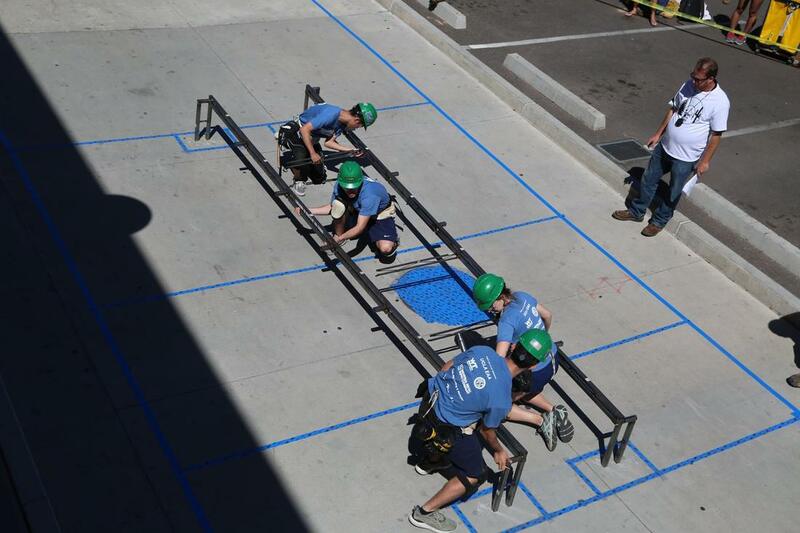 All of these factors add up to a total cost, which determines who wins the competition and continues onto nationals! Let us know your comments and suggestions. 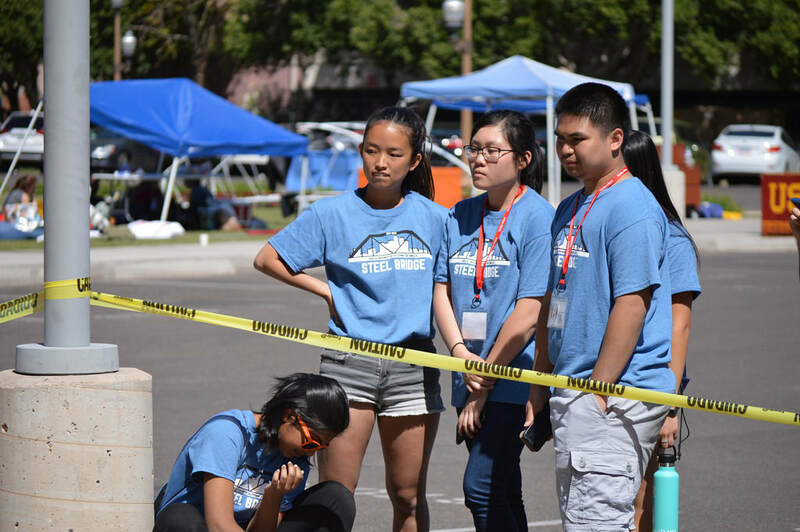 Students are encouraged to join our Facebook group to learn about our upcoming events. 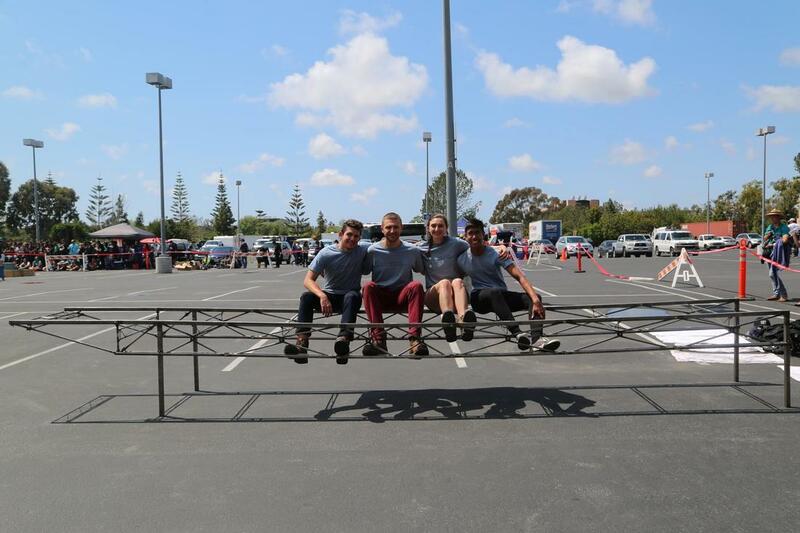 We would also want to get sponsorship. 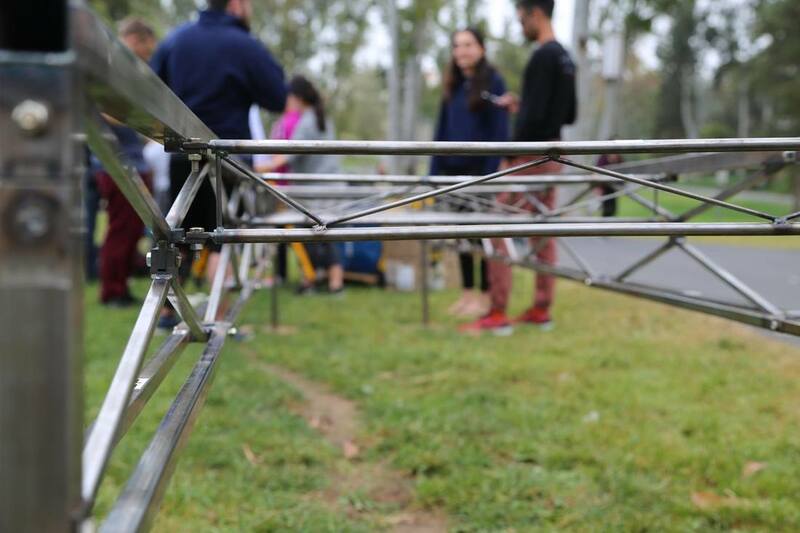 We make several prototypes throughout the year and the materials and resources we purchase to make that happen are expensive. 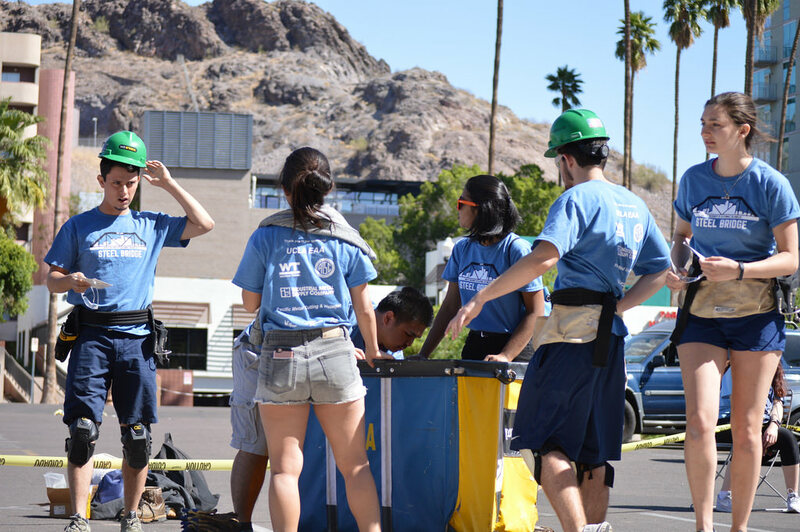 If you can help us, please contact our Project Managers for more information.